When our second daughter Summer was born I was eager to get back to my pre-baby body. I expected the weight to melt off as it did with our first but the opposite happened. At 6 months postpartum I remember stepping on the scale and feeling extremely frustrated. So I signed up for the 30 Day Weight Loss Challenge in January at Orange Theory and upon completion my weight barely budged. My experience became a discussion on Instagram. Other new moms joined in and we bonded over our difficult predicament. This is how Nancy Anderson and I connected. Nancy reached out to me and said I saw a post on Instagram where you discussed losing the baby weight. She asked, “How’s your diet?” “Good.” I replied, as I rifled through my head all of the “small bites” of bad foods I was eating. After lots of DMing I admitted that my diet could be better. I had been following Nancy on Instagram as she one of the rockstar trainers at my favorite gym, Barry’s Bootcamp. 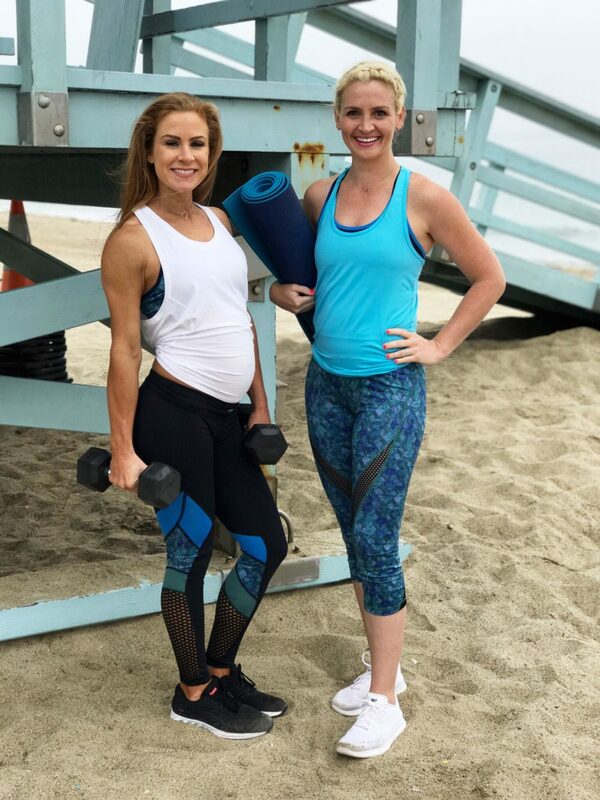 Not only is she one of their top trainers, but she is a certified nutritionist, a personal trainer and a mom. In short, she gets it. She asked, “How’s your diet?” “Good.” I replied, as I rifled through my head all of the “small bites” of bad foods I was eating. I knew if I wanted to see a change I needed to make a change. Finally, I agreed to give her #30DaySlimDown a try. While, I wanted the weight to come off I really wanted to feel like myself again. Carrying an extra 15 pounds made me feel self-conscious and uneasy. Not the person I wanted to be in my daughter’s eyes. So I downloaded the plan grabbed a glass of wine and read it over. First off , no alcohol. Oh boy. This was a daily ritual for me. I had two little girls at home and I barely made it to four o’clock everyday before I was uncorking the bottle. As I thought about how difficult it would be I also thought about how badly I wanted to look and feel like me again. If you are nodding your head yes to any of these feelings of frustration then give it a try. The only thing you have to lose is weight. My whole mission with blogging is to provide tips and tricks on how you can look and feel your best. This is why I am so passionate about this program. I know how awful it is to feel self-conscious. I know how frustrating it can be to work out every single day – sometimes twice a day in a week – and the scale won’t budge. The feeling of wanting to skip an event because nothing fits is too familiar for me. If you are nodding your head yes to any of these feelings of frustration then give it a try. The only thing you have to lose is weight. Sign up here. Use discount code: KATE15 for 15% off your purchase. Here I am seven months later and I still use her Slim Down as a guide for how I eat. Alcohol has been eliminated from my weekday routine. Pasta dinners have been replaced by lean proteins and salads. 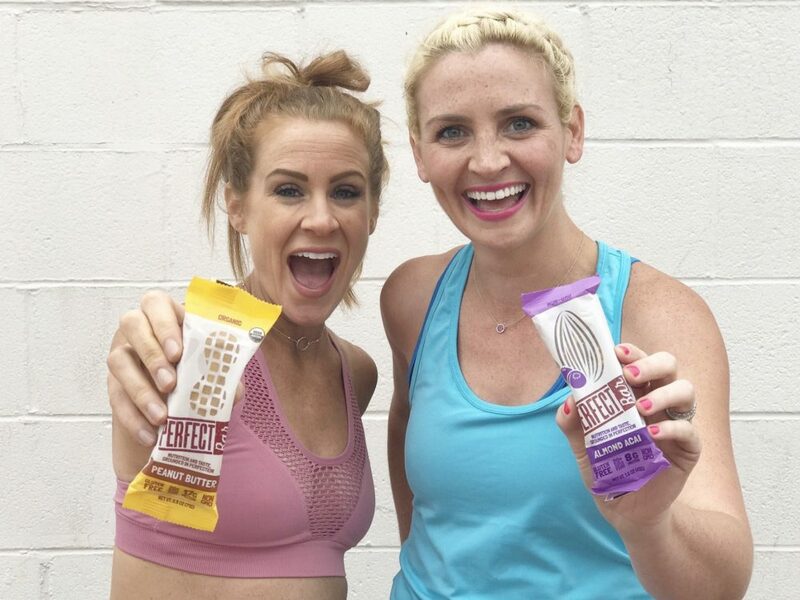 Snacks are The Perfect Bar – head to Instagram to enter our giveaway – and fruit! Yes I am human and yes I have good days and bad days. But now after having completed the Slim Down and going back into bad habits I feel gross. The Slim Down didn’t just change my body it changed my approach to eating. Nancy is kicking off her next slim down on September 5th and this group is going to be epic! So to prove that it works – I took ten days off from working out and I ate every single thing I wanted. By the end of the 10th day I felt disgusting and was eager to get back into my healthy habits. My daily results over the past 7 days have been detailed on instastories. 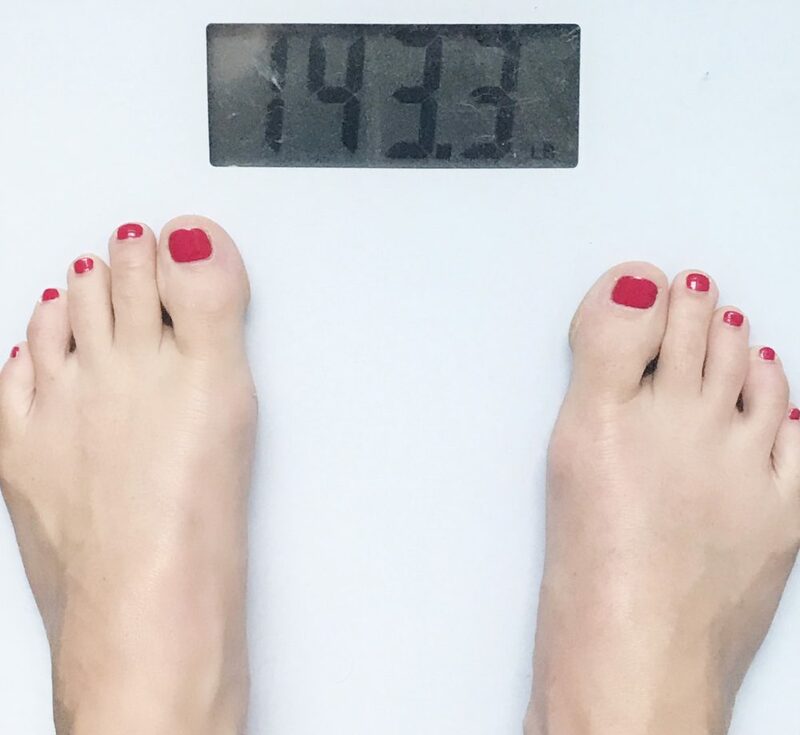 I actually was too embarrassed to put my starting weight up on stories which was 143.3 – yikes. I typically am between 130 – 135. For those of you that weren’t engaged in the slim down success on stories here are some of the questions that I answered. Is it hard? Yes and no. Nothing good comes easy. After 5 days you will see results and after 10 it will become habit. So hang in there and stick it out to the end. Do you eat like this everyday? No, but this diet did change the eat and how I approach food. Food is fuel for your body. If you consider that notion when eating your hair, skin and body will thank you. Can I drink alcohol? Do you want it to work? Then no. While it is extremely difficult it is also not impossible. Stock up on Zevia to replace your daily cocktail habit. Cream soda is my favorite. Is there a ton of food prep? No I don’t think so. Food prep is however the secret to success. You will be hungry at some points during the day and if you have healthy snacks to reach for you will be better positioned for success. Do you workout? Yes. Minimum 5 days a week. BUT this diet has allowed me to cut back. I am no longer using exercise as a punishment for what I ate. I enjoy exercising and instead it is a way to release endorphins and start my day on a positive note. I’m breastfeeding – can I participate? Yes. She addressed this in her plan. I can’t do it?! Or can I? You can! There is a cheat meal in there so you always have that to look forward to during the plan. Where do I sign up? Here! What does a typical day on the plan look like? The Perfect Bar – We are giving away a month’s supply – head to our Instagramfor details! Still curious to see how I did with just 7 days on the plan? I guarantee once you see my results you are going to want to try it too! I didn’t want this post to feel salesy or contrived so everything I documented was with my iPhone. All of the results are real. I made myself extremely vulnerable on Instagram. My weight became public knowledge. The final day on Instastories I only wore my bathing suit! I made myself vulnerable because I know if you are reading this that is exactly how you might be feeling. Zevia Cream Soda – Crack open a can when you would typically be drinking alcohol. The Perfect Bar – Easy grab and go snack in the afternoon. Oh and they are delicious! Try the chocolate pack. Vega Protein Powder – Smoothies are my saving grace. I make double the serving and grab the second half if I need it later in the day. Bulletproof Coffee with Kerrygold Butter – It is delicious! Finally, my results are below. I want to thank Nancy Anderson for helping me get my body and my confidence back. I also want to thank her for partnering with me on this post. If you still are unsure I say try it. If at any point you want to stop – you can. However, you will be really disappointed when you see the results of everyone who committed to 30 Days. At a BBQ yesterday we tried to find the perfect month to do it and the reality is…there is no perfect month. Life will always throw challenges at you, its all about how you handle them. So good luck friends! I can’t wait to see your results. Prepare to look good and feel good after just one week! 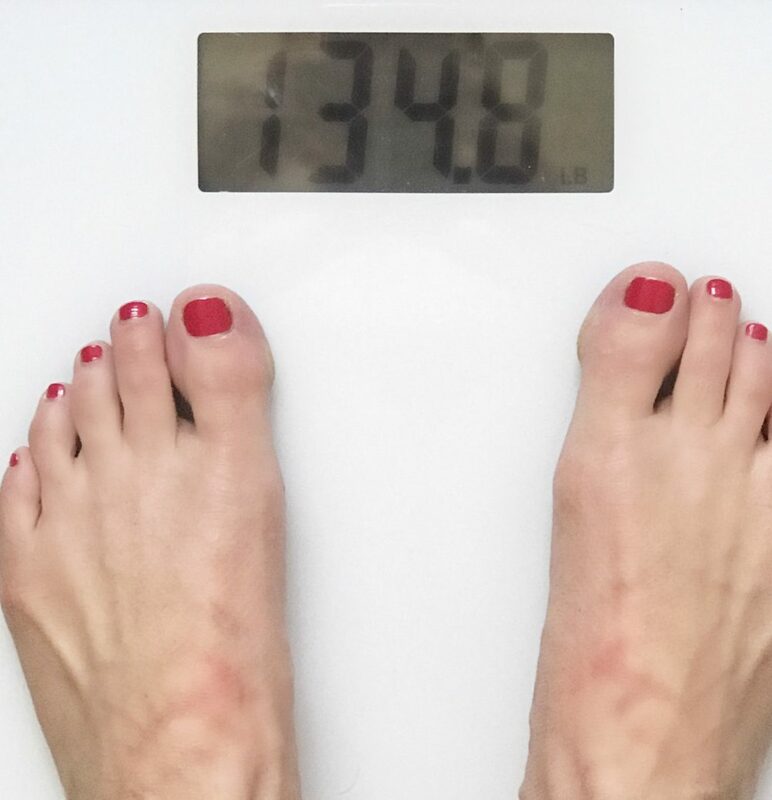 After just 7 days on the 30 Day Slim Down I weigh 134.8 – I lost 8.5 pounds!